A Second Compilation of Works from the Members of the CEC. 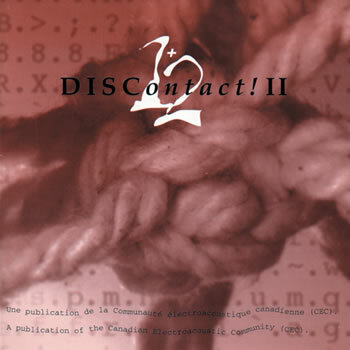 DISContact! II, 2, 2 | Terra Nova, "Music from Nature", Vol. 3, Summer ‘97 / journal with CD. MIT Press Journals. | Insect Groove, Cycling 74, 2002 | Music Works, Issue #66, September ‘96 / journal with CD: "High-tech vs. My-tech" article+music.